As per industry each party will develop a discipline wise BIM model, using the architect's model as a starting point a structural engineer, mechanical, plumbing engineer, electrical engineer and others. Each model will consist of a range of model files, documents and structured data files containing non-geometric information about what is being designed. 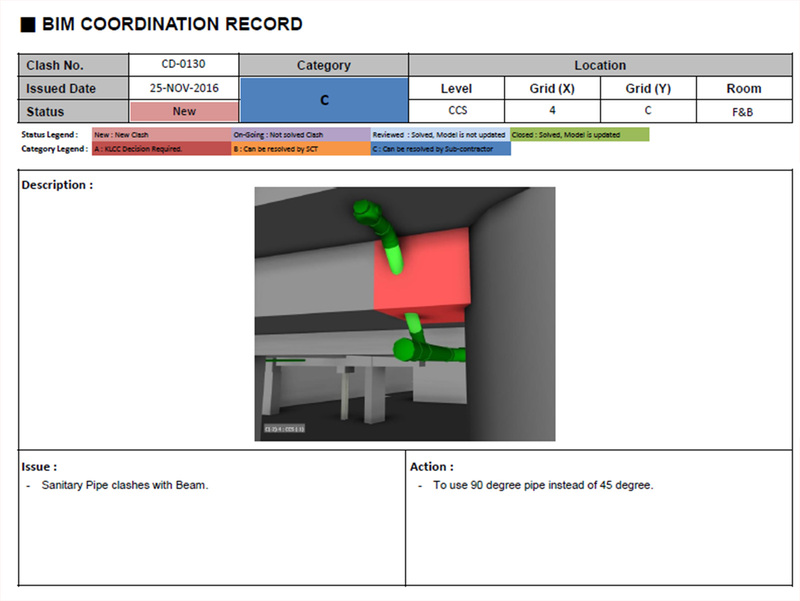 HSS BIM team will integrate the individual BIM models and prepare a coordinated model to run-through the clash detection process. The expert’s team will prepare a clash detection matrix based on the project design and requirements before start the clash detection process. Once the clash detection process are run-through then the HARD & SOFT clashes reports shall be submitted to the client for their review and resolution. Along with the clash report HSS BIM Engineering team will also propose the suggestion/resolution to resolve some of the reported clashes.